If you told me that one day I would be able to try a 300-year-old beauty secret of the Japanese geisha’s I would think you were crazy. But lucky for us, Vicky Tsai, the founder of TATCHA is planning to unleash these ancient beauty secrets, one by one. 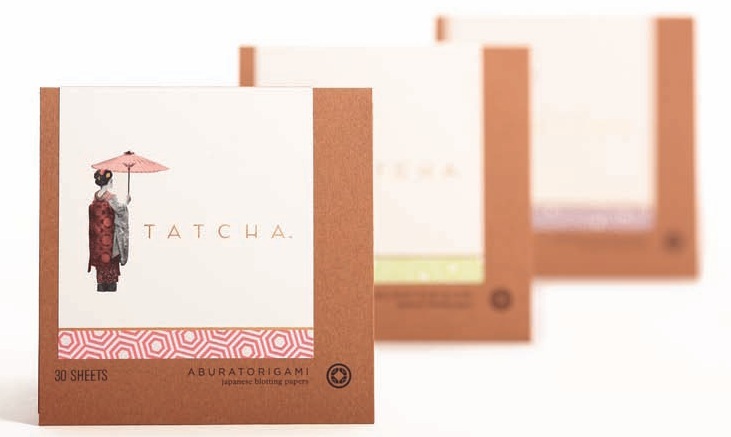 Her first is the must have TATCHA Aburatorigami blotting papers, a product that many have quickly grown love since its launch last year. Vicky Tsai shares some of her own beauty secrets with Fashion Spotlight and helps us understand why modern women don’t always need a glam squad by their side to look beautiful. Fashion Spotlight: How did TATCHA come about? 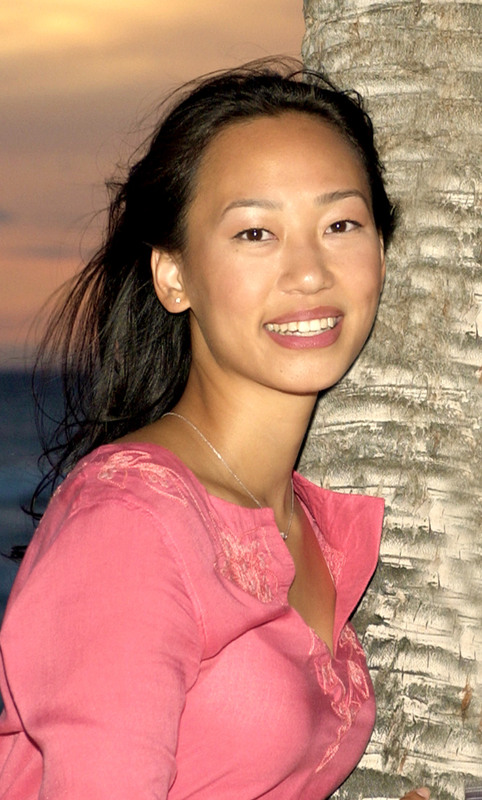 Vicky Tsai: I inherited my love for all things beauty from my mother who owned a beauty boutique and loves to share time honored Asian beauty secrets. It wasn’t until I began travelling throughout to Asia as an adult though that I realized the richness and history behind these beauty secrets that I had grown up with and yet taken for granted. Rediscovering my beauty heritage coincided with the birth of my first child, a daughter, which dramatically changed the way I thought about what I put into and on my body. My experiences have led me to appreciate a different approach to life and beauty — that less is more. Today, I am on a humble quest for less. I yearn for enlightenment, simplicity and authenticity in my life and in my beauty rituals. TATCHA is my way of sharing things I learn and find along the way. FS: What’s the one beauty product every woman must own? VT: Aside from TATCHA’s beauty papers (wink wink), I think that every woman looks irresistible with fresh, supple lips. I used to do the moisturizer / baby toothbrush routine but now use those brilliant little Sara Happ lip scrubs. So brilliant. FS: What’s your favorite place to vacation? VT: Kauai is my favorite place on earth because of the beauty of both the landscape and the community. There’s such a positive energy there that I find grounding and uplifting at the same time. FS: Who’s your style icon? VT: Mineko Iwasaki, one of Japan’s most celebrated geisha. She was not only exquisite to behold but the absolute embodiment of her art. I don’t walk down the streets of San Francisco trying to rock a forty pound kimono, but I draw such inspiration from the geisha’s stylistic artistry. FS: What beauty regiments do you live by? VT: I live by my cleansing ritual. If your complexion is flawless, everything else is icing. FS: What’s next for your brand? Do you plan on expanding the TATCHA line? VT: Absolutely. Far Eastern beauty secrets date back thousands of years. I can’t wait to share more with women in the Western World through TATCHA. FS: What’s your beauty obsession of the moment? VT: Aside from those Sara Happ lip scrubs for irresistibly supple lips, I am obsessed with the butter London Jelly collection. They are like lip gloss for your nails and can be layered with your favorite nail lacquers to add a new dimension of color – all while being body friendly (a rarity in the nail category). 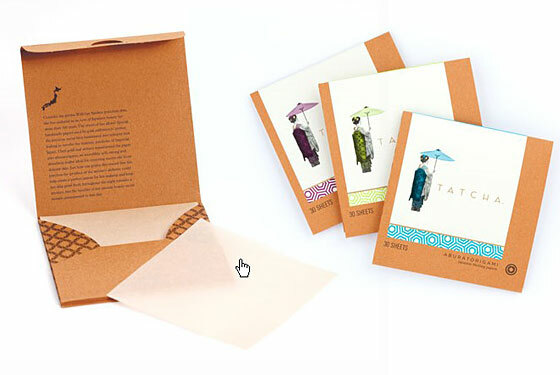 TATCHA Aburatorigami blotting papers is as unique as its history. Made from the same products used 300 years ago in imperial Japan and the hidden beauty secret of geishas, these blotting papers are the perfect de-shining solution for all skin types. Made out of abaca leaf with a lattice weave these blotting papers manage to keep your skin fresh and soft without leaving any powdery residue. One sheet is perfectly sized to be used on your whole face so now you no longer have to go through multiple sheets or even packs each day. If your skin is as oily as mine, it’s an essential carry-on and the beautiful packaging is a plus you’ll love.